Made of Tyvek, the same material used in Fed Ex mailing envelopes, know for durability. 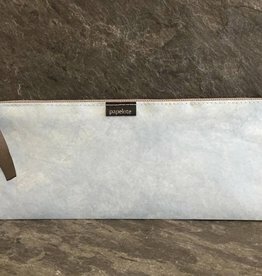 This case is perfect for pencils, pens or any other small objects. Handmade by local designer Owen McInerney. 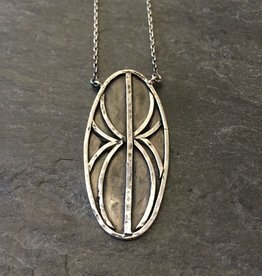 Made of sterling silver with oxidized sterling detail. 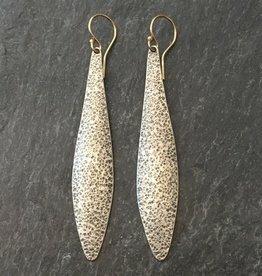 These earrings also have gold ear wire. 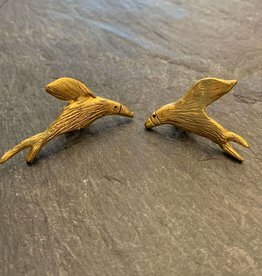 Bay Area designer Gretchen Walker hand creates these one of a kind 24K plate bronze swallow earrings. Perfect for any avian fan. Handmade by local designer Owen McInerney. 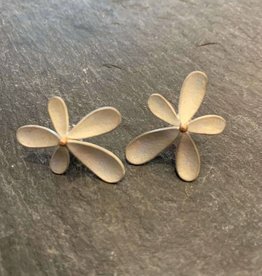 These earrings are made of sterling silver with 18K gold plate over sterling. Handmade by local designer Denise Heffernan. Made of sterling silver. 21.5" from clasp to bottom of pendant. Handmade by local designer Owen McInerney. 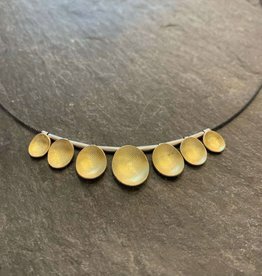 This necklace is made of sterling silver, oxidized sterling with 18K gold plate over sterling. These moveable pieces are secured on a 17in. stainless cable. 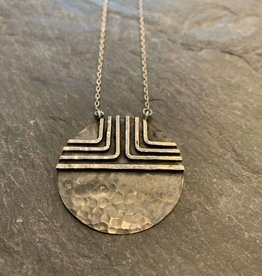 Handmade by local designer Denise Heffernan. Made of sterling silver. 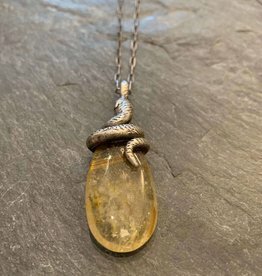 20" from clasp to bottom of pendant. 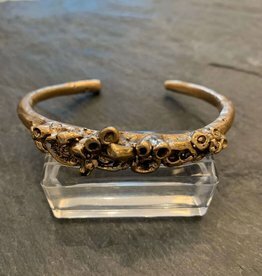 Bay Area designer Gretchen Walker hand creates this one of a kind bronze coral reef cuff. The natural beauty will have you receiving many compliments. Designer in San Francisco by Denise Heffernan. 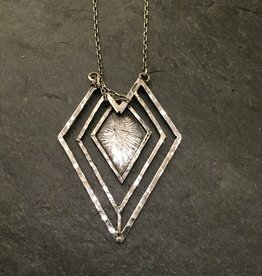 This sterling silver and oxidized pendant is 18in. 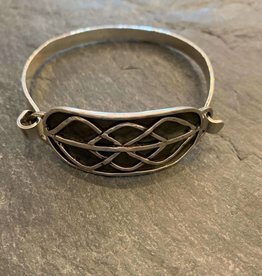 From San Francisco based designer Denise Heffernan, this sterling silver interwoven cuff will make the perfect addition to any jewelry collection. Great form and function. Handmade by local designer Owen McInerney. 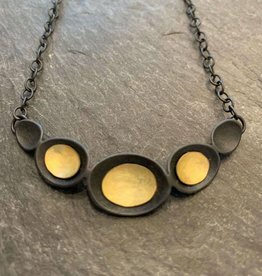 This necklace is made of sterling silver, oxidized sterling with 18K gold plate over sterling. This piece measure 14in.